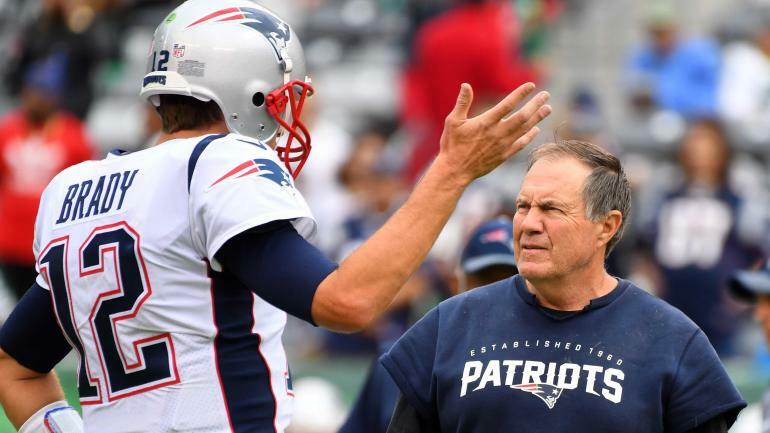 For the first 18 years of his career, Tom Brady showed up at nearly every voluntary workout that the Patriots held during the offseason, but for the second year in a row, it looks like Brady is going to take a hard pass and skip the workouts. According to NFL.com, Brady was a no-show at the Patriots’ first official workout of the offseason, which was held on Monday. Although Brady didn’t show up, his absence shouldn’t really set off any alarm bells in New England and that’s because he did the same exact thing in 2018. Last year, Brady skipped the voluntary portion of the Patriots’ offseason schedule before showing up for mandatory minicamp in June. That plan ended up working out pretty well for the Patriots, because Brady went into the season fresh and ended up winning another Super Bowl for New England. Although Brady hasn’t publicly stated what he’s going to do this year, he did hint at the Super Bowl that he likely wouldn’t be attending voluntary workouts this year so that he could spend more time with his family. The Patriots are currently in Phase One of their offseason program, which is limited to strength and conditioning, along with physical rehabilitation, so Brady’s not really missing anything. If Brady sticks to the same schedule as last year, that means he’ll practice with the team for the first time at mandatory minicamp, which is being held June 4-6 this year. Of course, just because Brady isn’t practicing with the team doesn’t mean he’s not getting in reps in with his teammates. Over the past few years, Brady has made it a habit of meeting up with his receivers during the offseason. Basically, what this all comes down is that when you’re a 41-year-old, six-time Super Bowl winner, you’re allowed to do whatever you want and Brady is doing whatever he wants. Right now, that means he’s training with Alex Guerrero and we know that because Brady has been posting pictures on Instagram this week. Besides Brady, Patriots’ newcomer Michael Bennett also skipped the opening workout on Monday.